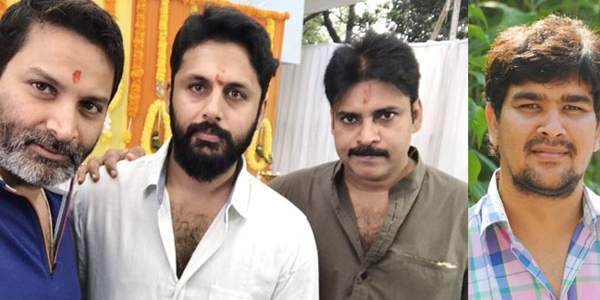 We are aware that Pawan Kalyan Creative Works and Sreshth Movies have joined hands together to produce a film with Nithiin as the lead hero. The film has story by Trivikram and it was launched sometime ago. Krishna Chaitanya is directing this different entertainer and the team is happy to announce the commencement of regular shoot. Starting today, the unit will film its first schedule in Hyderabad for five days and next lengthy schedule begins in USA in the month of August. "A Aa" fame Nataraj Subramanyan is the DOP. Thaman will be giving music. Cast :- Nitin ,Megha akash, rao ramesh, Naresh, Pragati, Lizzy, Narra srinu, Srinivasareddy, madhu.